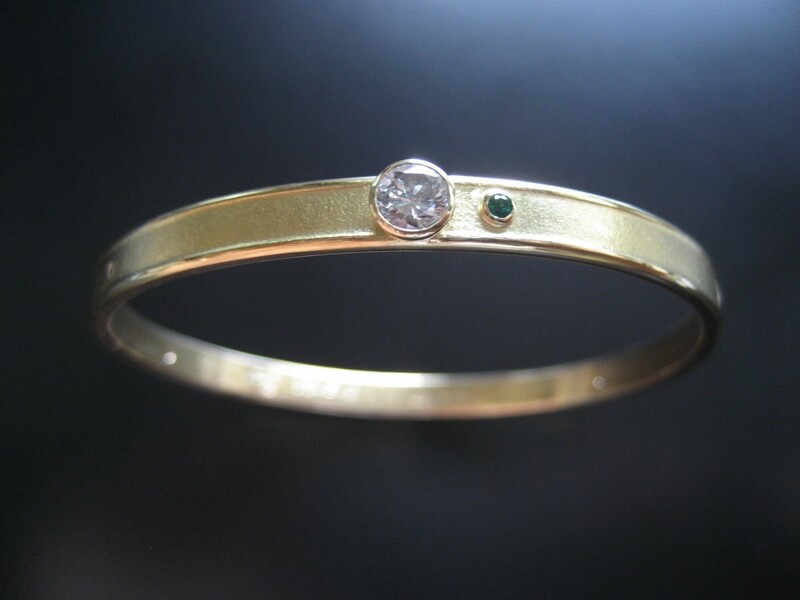 I was honored to be asked to create this powerful project: to make a gold bangle bracelet from the gold collected by my client’s late husband, incorporating the diamonds from their engagement ring, and the birthstone of their son…to wear in perpetuity. What a meaningful and awesome idea! I love it! !